US Secretary of State Michael Pompeo said that "President Trump is determined to move forward diplomatically"
NEW YORK, April 15. /TASS/. 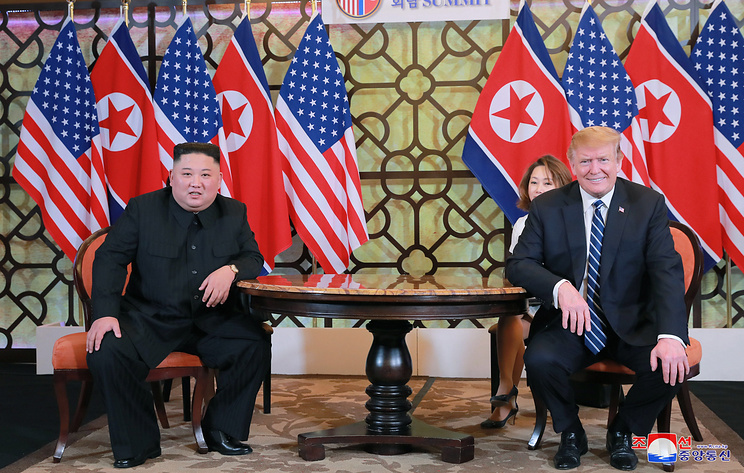 US Secretary of State Mike Pompeo does not rule out the possibility of the third summit between US President Donald Trump and North Korean leader Kim Jong Un this year, the US State Department said on Monday. Asked about whether there would soon be a third summit between the two leaders, Pompeo said that "President Trump is determined to move forward diplomatically." "This is the outcome we're looking for: Chairman Kim made a promise in June of last year in Singapore. He made a commitment to denuclearize. He's made that same commitment to me now a handful of times in person. We collectively need to see that outcome move forward," Pompeo added. "We're working, our teams are working with the North Koreans to chart a path forward so that we can get there. He said he wanted it done by the end of the year. I'd love to see that done sooner," he noted. 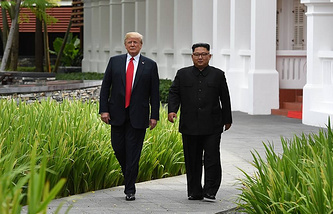 Trump and Kim last met in Hanoi on February 27-28 but the meeting did not result in any comprehensive agreements.